Computers: Software, IT (Information Technology), Furniture / Household Appliances No comment. Website: Machinery, equipment and plants for a lime industry. Ability Top Translations (Ettore Peyrot): No comment. Alexey Pylov: Thank you, Ettore! Filling Machine for the bottling industry. Equipment for the bottling industry. Mechanics / Mech Engineering, Manufacturing, Food & Drink No comment. VIP CIP device used for cleaning of devices and pipe lines in the drink filling industry. Manufacturing, Food & Drink, Engineering: Industrial No comment. Computers: Software, Mechanics / Mech Engineering, Metrology No comment. 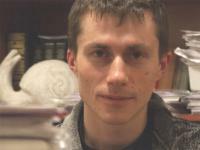 XLence: Alexey provided the required translation on time and showed ability to work with strict deadlines. Chemistry; Chem Sci/Eng, Materials (Plastics, Ceramics, etc. ), Metallurgy / Casting No comment. Engineering (general), Engineering: Industrial, Mechanics / Mech Engineering, Mechanics / Mech Engineering, Marketing / Market Research No comment. - Strong wells that have recently experienced severe decline in production, but are still economically viable. - Скважины с высоким уровнем жидкости, добыча нефти из которых, несмотря на сильно упавшие темпы, остаётся экономически оправданной. - Истощённые скважины, добыча нефти из которых могла успешно вестись первичными, вторичными и третичными методами, но в настоящее время их дебит упал намного ниже исходного уровня. - Истощённые на данный момент скважины, с высокой долей избыточной воды, не превышающей всё же 60% от общего объёма жидкости. Experience Years of translation experience: 22. Registered at ProZ.com: Oct 2003. Became a member: Dec 2006. Professional practices lexipov endorses ProZ.com's Professional Guidelines (v1.1). I do hope you are seeking quality and reliability. The best option is to select a translator that have been around for many years, and proved his competence. I believe I perfectly suit your needs as I am a highly skilled English-to-Russian translator with experience since 1997 and advanced CAT tools knowledge. More than 10,000,000 words translated so far! IT/Computers, Software, Websites, Automatics, Robotics, Electrics, Industrial Engineering, Construction, Metallurgy, Heavy Machinery, Mechanics, Automotive, Oil & Gas, Chemistry/MSDS, and some other areas. Business/E-Commerce/Marketing translations are also of high quality. In 1995 I earned a MS degree in Applied Mathematics. During the study, I completed an additional two-year course in technical translation. In 1998 I completed a post-graduate course in Mechanics of Deformable Solid. My scientific papers were published in the leading Ukrainian Scientific Magazine "Strength of Materials", so I do have excellent technical writing skills. I am one of the top translators in my language pair. Please take into account my KudoZ leadership position, answer acceptance ratio and points, as well as my WWA entries. 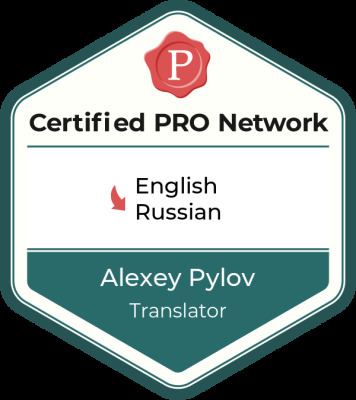 Also, I am a ProZ.com certified PRO in the English to Russian language pair, and for many years I have been taking part in localization of Proz.com.